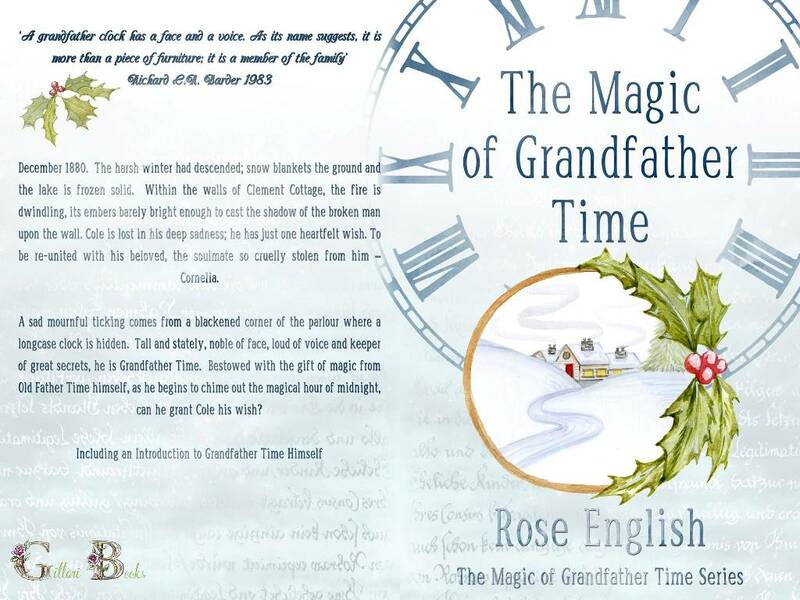 Well I have GREAT NEWS my little Seasonal Short Story ‘The Magic of Grandfather Time’ is now LIVE as an eBook. It was my last years NaNoWriMo Project that has now come to fruition. I feel so bless to have so many friends online who have encouraged me all the way. Thank You One and All. The eBook is available to download from Amazon. Click the links above. Thank you one and all, my avid followers. Your support has been very encouraging. Now, next week I can concentrate on the second book in the series ‘The Daisy Chain Crown’ to be published in the New Year by Gillari Books. A little warning, there are a few teaser lines taken from the book, but I do not really view them as spoilers. I believe they are words that could easily coax you into reading the book like they did me. I came to this book with the outlook that it was going to be a graphic novel, but being a Kindle copy there were no graphics. A bit of a shame because this will make one hell of a ‘Crime Comic’. What could be more exciting to a comic book fan, than a Spider who just happens to be a Private Detective, working the streets of Liverpool? Merely reading the first few taster lines from the Amazon ‘Look Inside’ had me hooked. I didn’t view it as being a children’s book. Having read it I believe it will appeal to many age groups. I was smiling to myself as I read these first few lines, and I just had to read on. Other reviewers say, as they read the story they envisaged characters from ‘Bugsy Malone’ speaking the parts but for me, I heard Mickey Rourke (Marv from Sin City) or even Bob Hoskins (Down-on-his-luck Detective Eddie Valiant from Roger Rabbit). Almost the whole story played out in black and white for me. The story centres on Harry, just waiting for that one big job that can lift him out of his debts. He generally prefers a job with minimal risks; unfortunately these only pay minimal fees and don’t cover his cost of living. “…I start arranging the papers and photographs on it, now when I need to look up information, I check on the web”. This is a great novel fun and entertaining, fast paced with a well formed plot. The story is set in Liverpool before the time of The Beatles, the group are actually mentioned as ‘The Silver Beatles’ who Harry suggests would do much better if they were to drop the ‘Silver’. As with any Crime Fiction, there are car chases, good and bad cops (in this case called ‘The Buzz’), there are shoot-outs, in fact its action packed. Well worth a reading. Well we already know the main character Harry Webb so what of his partner? Freddie Finley was his partner but after a case gone wrong Freddie was never the same, one day he walked out of the office and never returned. For four years Harry has been alone, he’s not the spider he used to be. Each day he enters the building where his dusty, paint flaking office is situated and tries to avoid his landlord Ron. Penny is dedicated to Harry, she must be, or why would she work for next to nothing? She comes across as a warm almost motherly figure trying to get him to smarten up thinking of his health & wellbeing. Next we see the introduction of Marty Mac he disturbs Harry whilst he is ‘Meditating’ (in other words sleeping). Marty is looking for a job, he’s tried all the other detective agencies but they have sent him on to Harry. Marty therefore reckons that Harry must be the best. He is a very comical character, a master of disguise you cannot help but adore him, with his little quips he comes out with. This tickled me when the pair was out investigating, dressed as telephone engineers. It was Marty’s job to keep the secretary occupied. Scarlet being the rising star she is, goes nowhere without her trusty body guard Stag, great for hired muscle being a huge hulking beetle – but by no means the sharpest tool in the shed. He’s a bit pushy and forceful but then he’s only doing his job. Feisty dragonfly extraordinaire Alex (Alexis) Holmon, female journalist in a man’s world, who demands to join Harry’s little team. She wants to cover the full story when & if Harry cracks the case. Iron Jaw (Geoff) – a large woodlouse with a shining metal jaw, owner of Iron Jaw’s nightclub where Scarlet made her debut. And also a heavy set wasp called Sweeny, ex-military now working for the police or as they are called in the book ‘The Buzz’. This is not quite all the characters but they are the ones that stick in my mind. One final one I do have to mention though is the ‘Armoured Police Caterpillar’ just imagine the fire power from one of those, especially with each limb heavily armed, that is some power. So like I said this is a book well worth reading, it will appeal to children from 8 to 80. I absolutely loved it and cannot wait for the next thrilling case for Harry Webb the great spider detective. Just to end, I like the quote from a little ant girl serving behind the bar in Iron Jaw’s, “Have you heard Cliff Richard?” That’s what clicked for me, why the name Harry Webb was familiar. Ask your parents who is Cliff Richard, if you don’t already know. This book is a real page-turner, very highly recommended it achieves my highest rating of 3 roses. Matty Taylor: a beautiful young woman is starting out in her new life with her husband. Plagued by visions that seem all too real she seeks advice from the Gypsy at the local fair. Donald Taylor: cannot believe his luck when Matty agrees to marry him. A methodical, down to earth, man who requires irrefutable evidence to believe in the existence of anything. Thomas Trevelyan: Enigmatic and exciting but with an agenda of his own. 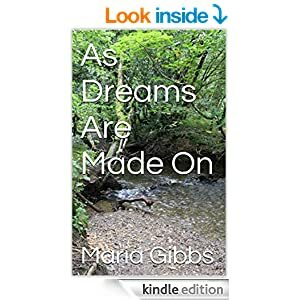 Matty is pulled from her life in the 21st Century into a frightening dream world where Thomas Trevelyan rescues her from a crowd of angry peasants and spirits her off to his secluded house in the woods. Frightened when he cannot wake Matty from her sleep Donald has to start challenging the way he thinks in order to get her back. If Thomas can win her heart, he will be a step closer to obtaining the ultimate prize but he has to contend with the echoes of her real life endeavouring to lure her back. Two men lay claim to her affections but who will be the victor? Thank you for stopping by, please bear with me this is all so very new. I hope to get the hang of it one day. In the meantime you could always drop by my Facebook page where I love to share new books, free books, bargain books and the very latest giveaways.